WASHINGTON, DC – (RealEstateRama) — Congressman John Garamendi (D-Davis, Fairfield, Yuba City, CA) is happy to announce that the National Center for Sustainable Transportation (NCST), headquartered at UC Davis, received a substantial grant to continue its research into environmentally-friendly transportation solutions today. The $2,803,300 grant from the Department of Transportation is one of only five national transportation centers awarded under the University Transportation Centers (UTC) program reauthorized by the FAST (Fixing America’s Surface Transportation) Act. 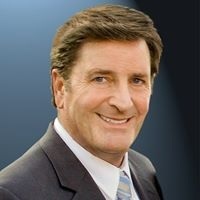 Garamendi, a former University of California Regent who represents the UC Davis community, supported the effort by speaking to Transportation Secretary Anthony Foxx and Deputy Transportation Secretary Victor Mendez urging them to support NCST’s mission with the grant. He also championed the FAST Act as a Member of the House Transportation and Infrastructure Committee. The National Center for Sustainable Transportation is a consortium of six universities committed to advancing a more environmentally sustainable transportation system through cutting edge research, direct policy engagement, and education of future leaders. The University of California, Davis, is leading the consortium in collaboration with the University of California, Riverside; University of Southern California; California State University – Long Beach; Georgia Institute of Technology; and University of Vermont. In four years, NCST has demonstrated its effectiveness by serving as the go-to resource for policymakers who focus on sustainable transportation.